This happened in the summer of 2016. I was interning at a company which made assistive technology products for the blind. The vision of the company is to remove the dependence of the blind from canes by the help of a device which can be worn in the finger! Vision disability can be caused due to various reasons like Glaucoma, Cataract, macular degeneration etc. 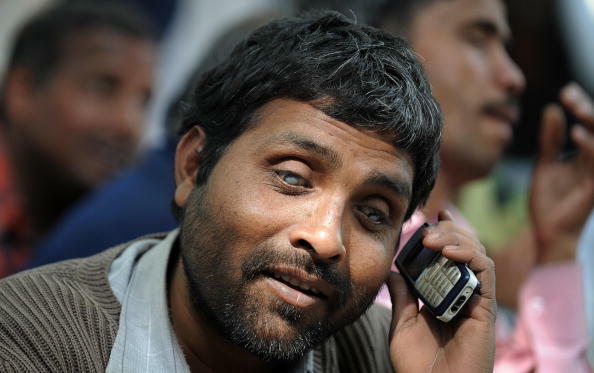 This may cause complete or partial blindness which compels the blind to rely on walking sticks for mobility. The company has devised a product which uses haptic feedback for alerting the user about objects around them using vibrations. The frequencies of vibrations are such that the user can differentiate between the distances, type and speed of different objects. At first, I could not digest the fact that the product will be able to replace the use of canes, something which the blind have been dependent on since ages! Shortly after joining, they took the interns for a visit to the blind school. There the students were trained on how to use the device. What followed after this was unbelievable. I was told to run and one of the visually impaired students was told to catch me. He was wearing the obstacle sensing product. I thought that I should take it easy on him since he might face difficulties so I started jogging. To my utter surprise, the child exactly followed my trail and caught me within few seconds! Next, I was told to run as hard as I could. So I started sprinting and dodging him, moving from side to side trying my best to not get caught. But his response rate to my turns was spot on! Without any lag time, he could sense my turns and caught me again in mere 7-8 seconds. I was flabbergasted and didn’t know how to react. This was something that I was experiencing for the first time. The episode took few minutes to completely sink in. Technology is moving at a really fast pace, indeed. But seeing a product like this made me realize that the world of innovation is concentrated towards making the lives of the privileged like us much more comfortable. I believe that if this focus can shift from entirely profit seeking to assist the disabled, the true meaning of technological innovation will be realized. 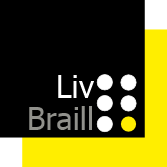 Live Braille is doing that. I hope we see more such companies.